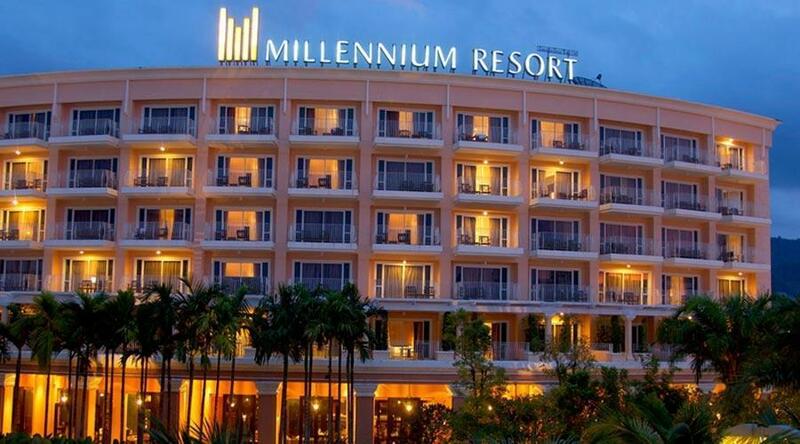 Millennium Resort Patong, Phuket is located in the heart of Patong, and is about 35 km from Phuket International airport. It is tucked across two wings on either side of the fashionable Jungceylon shopping centre (http://www.phuket.com/shopping/jungceylon.htm), Phuket’s trendy shopping hub. The hotel is conveniently located about 10 minutes' walk of Patong city center and the white sands of popular Patong Beach (https://youtu.be/sasfVIxelp4). The resort is also just moments from the famous, buzzing Bangla Road (https://youtu.be/qUimGNpyduQ). It’s the centre of Patong and Phuket’s action where shopping, dining and bars abound. At night, the road comes alive and many people returning after a year away are surprised to find their favorite bar or restaurant from the previous holiday gone with another sprung up in its place. It’s this ever-changing, vibrant environment that keeps things more than interesting.